Make sure to get your votes in by Feb. 16! The ballots are live — let the voting begin! 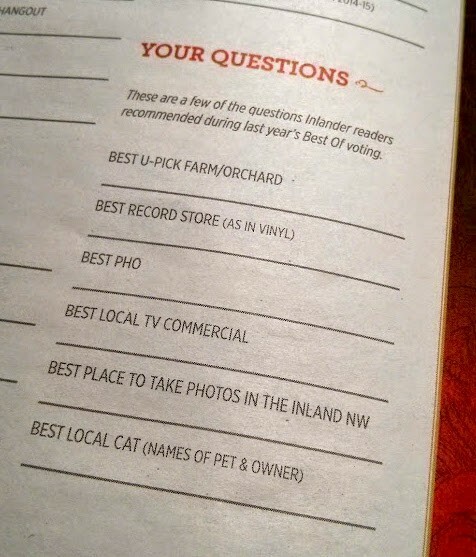 Before you bust out that pen (paper ballots are included in the current issue of the Inlander, Jan. 29-Feb. 4) or log on to vote online for your own feline friends, hear me out. There are lots of publicly known cats around town, so perhaps choose from the following pool of nominees instead to give a local "celbri-cat" some deserved recognition! 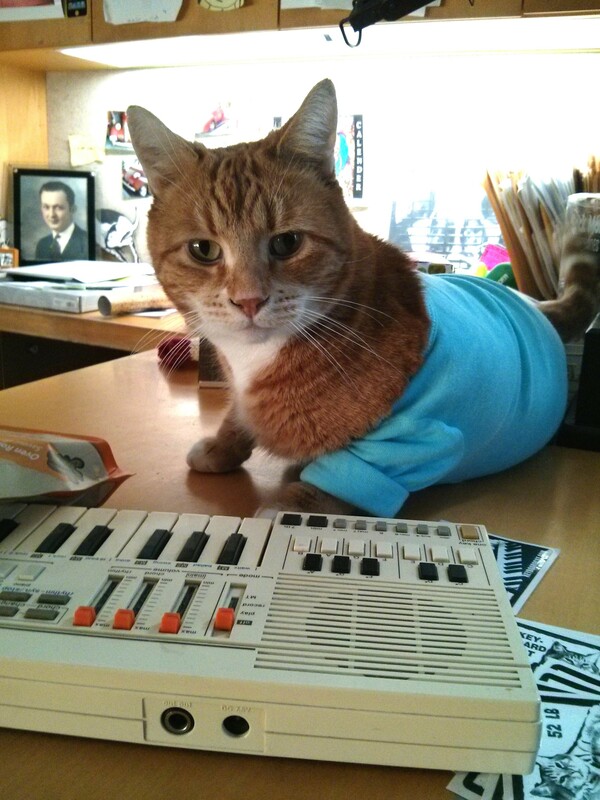 Bento the Keyboard cat is unarguably Spokane's most famous feline. Bento the Keyboard Cat is the reincarnation of Spokane's most famous cat, Fatso the Keyboard Cat. Fatso is also the "original" internet cat meme, and should go down in history as one of the Lilac City's most famous residents of all time. Bento may already be an obvious choice for locals who know of his important role in pop culture, but in case you didn't know, we wrote about him last year. His owner is local artist Charlie Schmidt. A somewhat dormant Cat Friday series profiling local business's resident cats highlights a few other felines in the public eye, like the two cats of Interiors By Robin, in the Garland Business District. Dolly and KeeKee often captivate passersby by laying in the business's storefront, adjacent to the Blue Door Theatre. 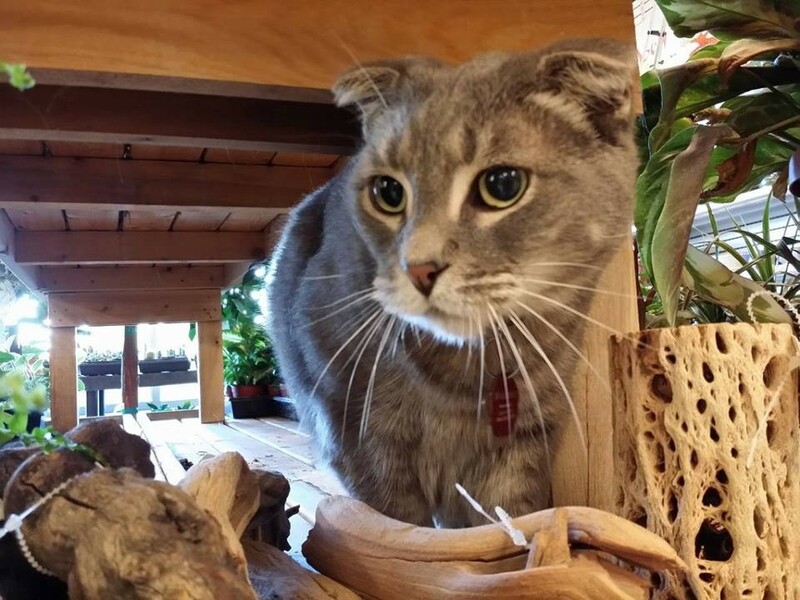 While they don't actually interact with the public, the three cats of Spokane Vintage Warehouse (Zoey, Aiden and Zelda) were our first "business cat" profilees, having gained a following by photobombing pictures of the business's inventory, often shared on its Facebook page. Maddie keeps her officemates company at Design Spike. A very special cat often makes the rounds of downtown Spokane web/graphic design firm Design Spike. Maddie was the second profile in the business cat series, and continues to make appearances now and then (when she isn't too cozy to leave the house) at the second floor office in the Liberty Building, above Auntie's. While we've not profiled (yet) the following kitties, patrons of their business homes should recognize these friendly felines. Alfred greets clients at the Cat's Meow in South Perry. 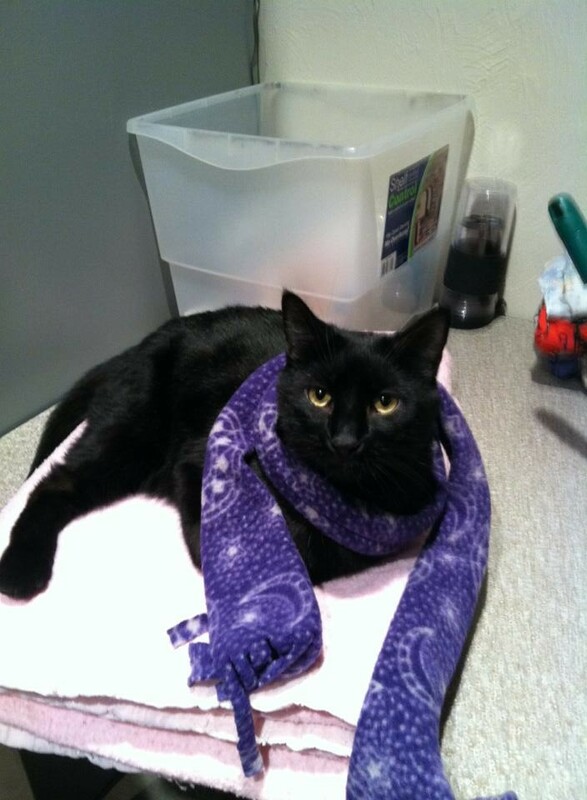 Alfred, a three-legged, jet black cat, is the official mascot of Cat's Meow Feline Veterinary Clinic in the South Perry neighborhood. In the North Monroe Business District, Laney the calico has been greeting patrons of Dan's Barber Shop for nearly the past decade. Although Northwest Christian Thrift Store sadly lost its well-known store cat, Mouse, in recent years, Kiera the tortie has been keeping the facility under her careful watch in her stead. 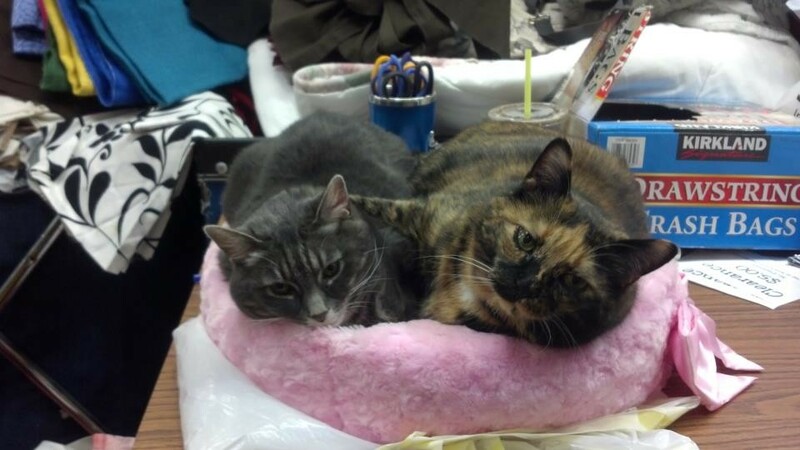 Kiera (right) cuddles the late store cat Mouse, of NW Christian Thrift. 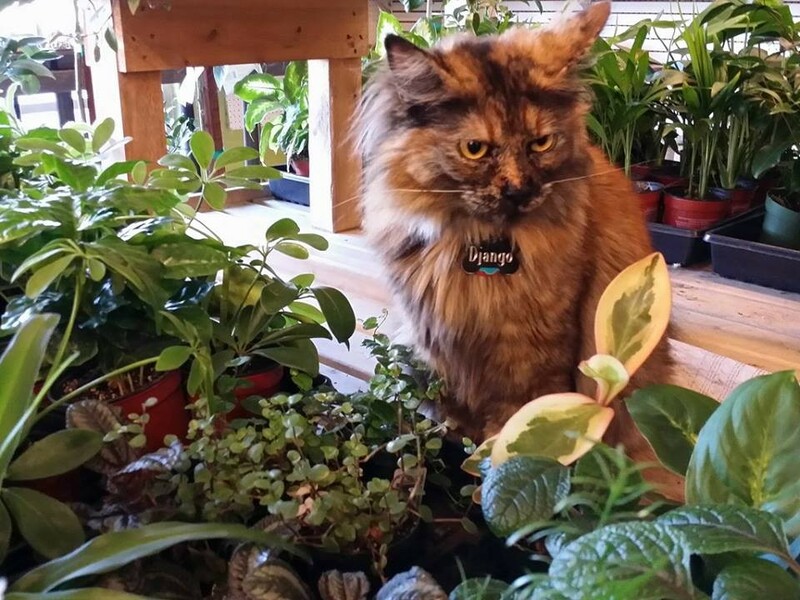 Both locations of local business Northwest Seed & Pet have beloved resident kitties. 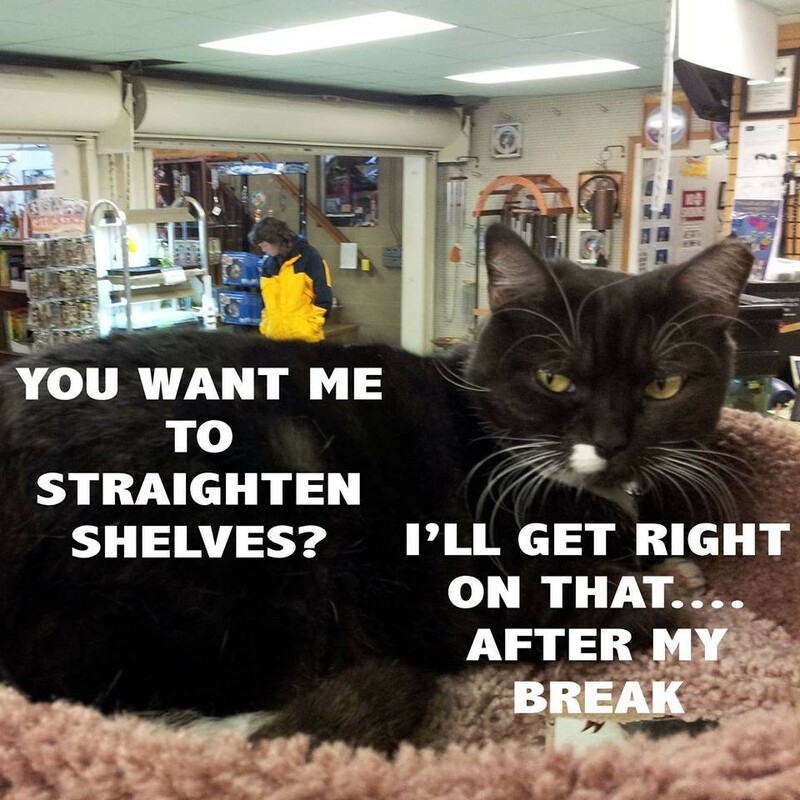 Gertrude, a black, former shelter cat from SCRAPS keeps an eye on things at the East Sprague store, while Wallace and Django keep the store's animals in line on North Division. 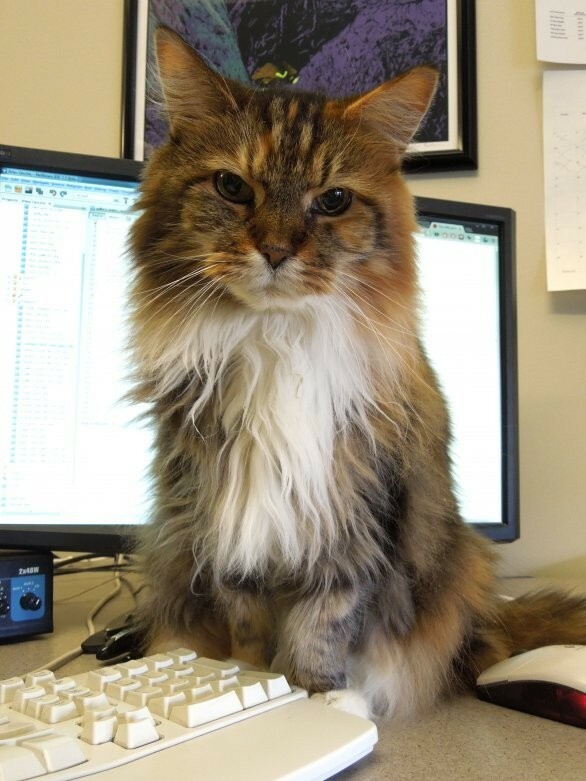 Gertrude became NW Seed's Sprague location mascot after life as a shelter cat. Wallace the Scottish Fold keeps an eye on things at the Division NW Seed store. His counterpart Django covertly keeps an eye on things from the store's plant department. Meet the resident felines of Interiors by Robin, on West Garland Avenue.